Welcome to Wellington the land of the hobbit, the best cafes and coffee and awesome people. Here is a mini guide to getting here and around and some suggestions for accommodation. Domestic: You can fly to Wellington from most other city hubs in New Zealand in less than an hour. Wellington is the capital of New Zealand but as of yet does not have a full operating international airport. Air New Zealand is our national airline but we also have jetstar. Shuttles - There are several door-to-door taxi such as the Airport Flyer or Wellington Combined Taxis. The venue, All Saints Church, is less than 10 km from the airport you can check the location below. So a taxi of shuttle should not cost more than $20 but check on arrival we also have uber. The airport flyer goes to the city and departs every 20 minutes or so. The venue Abundance Mind Body is further away near the CBD. Once in Wellington - Wellington is extremely walkable and bike-friendly. You can rent bikes short or longer term from AvantiPlus On Yer Bike Wellington (181 Vivian St, Te Aro, Wellington 6011). We strongly recommend preparing your accommodation in advance. Wellington experiences a high flow of tourists year-round. Airbnb www.airbnb.com, www.holidayhouses.co.nz or www.bookabach.co.nz . will help you find your accommodation. Her name is Lana and you can share this with a group of people.This one is an uber ride of around 5-10 minutes to All Saints. You will find all levels of Hotel/Apartment accommodation on various booking sites, such as booking.com, expedia.com, agoda.com, etc. Check out the location below to find one within walking distance. The city is not too far so you can stay there and be closer to the cafes and take an uber which will be around $11 a trip or team up with someone to get lifts each day. Plenty of people will be going through the city each day. The venue has a lovely kitchen to heat food and make tea etc plus a fridge so feel free to bring what you need for the day and use the kitchen facilities. Wellington has many many great cafes, here are a few but just ask if you are stuck we also make damm good coffee! The Botanist Lyall bay is a great local place not too far from the venue. Wellington Night Market located at 107 Cuba St. every Friday from 5pm- 11pm. Centre for higher self. A sweet wee studio in Wellington city say hello to Monica. 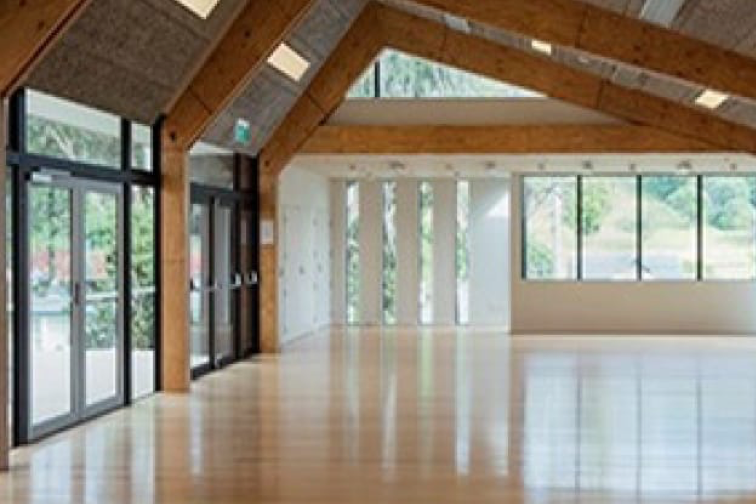 Pause yoga: Designed built and run by the delightful Cathy Gamba set in the trees in Eastbourne. Hot Yoga studios Wellington: Maria owns three yoga studios in Central Wellington and Lower Hutt get your hot on here!